Steve Jobs once said, ‘Innovation distinguishes between a leader and a follower’. It has been an exciting year for Contra Vision, the only specialists leading the market in one-way vision window graphics. As a company that continues to invent and innovate, 2017 saw the technical preview and launch of a selection of break-through innovations at the world’s top print shows. These additions to our unrivalled range of one-way vision graphics certainly makes Steve’s statement stand true. Contra Vision® HD Performance™ got its first showcase at Fespa, Hamburg followed by PacPrint, Melbourne in May. This revolutionary micro-perforated film features holes that are 60% smaller in area than conventional products. They create minimal disruption to the graphics, allowing sharper detail and greater visual clarity. With 40% (60/40) transparency, Contra Vision® HD Performance™ brings the image impact associated with traditional 30% (70/30) transparency perforated products and the through-vision associated with 50% (50/50) transparency perforated products. Look at either side from beyond arm’s length and you’ll question whether it’s perforated at all! After officially launching at SGIA in New Orleans in October. Contra Vision® HD Performance™ is now available to purchase in North America and will be available in Europe and Australasia from February 2018. Further information about Contra Vision® HD Performance™ can be found here. After winning SGIA’s Product of the Year 2016 with Contra Vision® Campaign™ there has been a demand to increase our monomeric one-way vision portfolio. Listening to our loyal fan base we have expanded the choice of transparency options available and we now offer an internal mount option. Contra Vision® Campaign™ in clear shares many of the core features of our premium Contra Vision® Performance™ range, including a thick facefilm, which together with a specially designed adhesive ensures the film is easy to remove when required. Further information about our range of Contra Vision® Campaign™ products can be found here. Finally, SGIA saw the launch of Contra Vision CL50YYR. The first in a range of unperforated printable films for window graphics applications. Contra Vision CL50YYR Ultra Clear is a premium-quality polyester film which, when applied to glazing, retains a distortion-free view through. The product’s high optical quality and UV print receptive surface make it ideally suited to the production of printed window graphics with see-through or see-past areas allowing a view, in or out, beyond the printed matter. Further information about Contra Vision CL50YRR Ultra Clear can be found here. A new generation of Contra Vision® perforated window films is now revealed. Along with our best selling products, such as 20% transparency material for maximum image impact and our Contra Vision® Performance™ in clear for inside mount graphics, we will be showcasing 3 new products, including Contra Vision® HD Performance™. Contra Vision® HD Performance™ delivers a dazzling printed image in High Definition. The micro perforations create minimal disruption to the graphics, giving higher quality images, with greater detail than ever before. From relatively short distances the perforations are too small to be noticed, giving a smoother see-through experience from inside vehicles or buildings. Seeing is believing so please join us at any time over the next 3 days on booth 1819 (opposite Kornit Digital & EFI). If you want to make an appointment to ensure that you have individual attention, please get in touch. There’s just one week to go until the doors open to this year’s SGIA Expo, the largest printing trade show in North America. This year, New Orleans plays host to this prestigious event and, over three exciting days, the Ernest N. Morial Convention Center will be home to more than 570 of the world’s leading imaging solutions providers. Contra Vision will of course be exhibiting once again and will be unveiling a new range of perforated window films. Specific details and the products themselves are still top secret until the SGIA doors open! However, what we can tell you is that one of our new generation products is a perforated window film that looks anything but perforated. Join us at any time on our stand 1819 (opposite Kornit Digital & EFI). Contra Vision hopes to revolutionise the window film market with the launch of Contra Vision® HD Performance™. This break-through micro-perforated window film delivers bigger and better image impact and a much smoother see-through view than any perforated film available. One-way vision window films that look like solid graphics have wide-ranging applications says Contra Vision. Any brand, specifier or printer that has ruled perforated window films out of contention with solid graphics because of image resolution or see-through experience issues can now revisit that decision and prepare to be surprised by the quality improvement delivered by Contra Vision® HD Performance ™. Unlike any traditional perforated window film, the observer has to be close enough to touch Contra Vision® HD Performance™ to see that it’s perforated at all. The product’s construction means that images printed on its white design side retain a greater amount of the fine detail that’s normally lost when printing perforated films. Image impact which is normally associated with solid graphics is the welcome benefit. Contra Vision® HD Performance™ has a great story to tell on the see-through side too. Because of the smaller holes and their more compacted arrangement, the see-through view is much smoother, looking more like a tint, even at close distances. Contra Vision® HD Performance™ plays well with all modern digital inks and print hardware. It flatters higher resolution print hardware and print modes, yielding results that bear comparison with solid graphics in many application situations. Contra Vision says it has engineered its next-generation perforated window film so that it’s easy to apply. Being a Contra Vision® Performance™ product, the film will tolerate demanding applications and removal is said to be clean, leaving no trace or evidence that the product was applied. 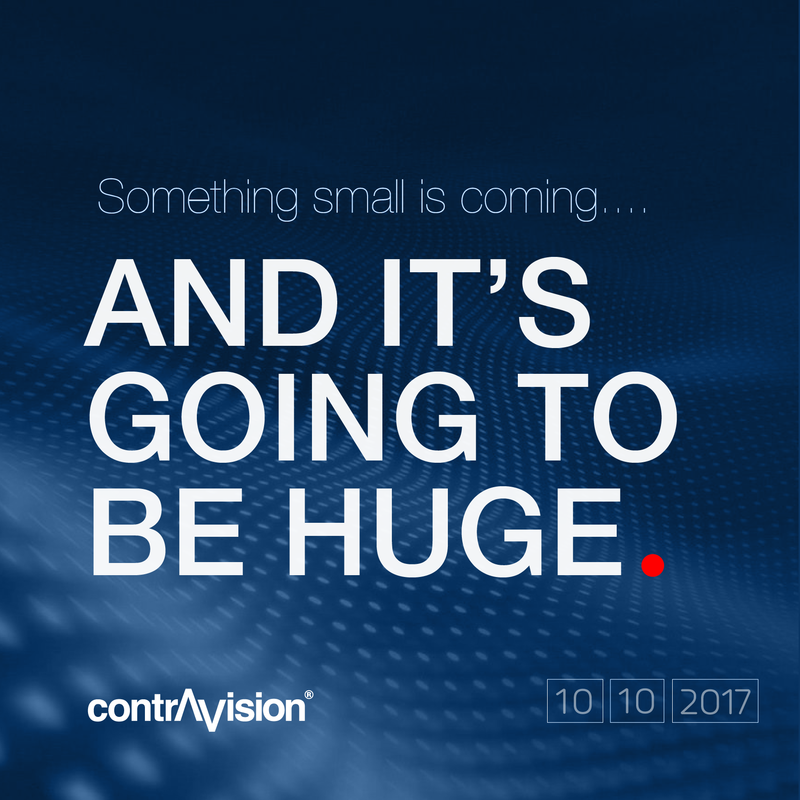 Contra Vision introduced the world’s first one-way vision products over thirty years ago. The company has continued to innovate and specialise in see-through films since and says that Contra Vision® HD Performance™ is the result of applying all its knowledge about perforated films to the task of product improvement and satisfying customer needs. 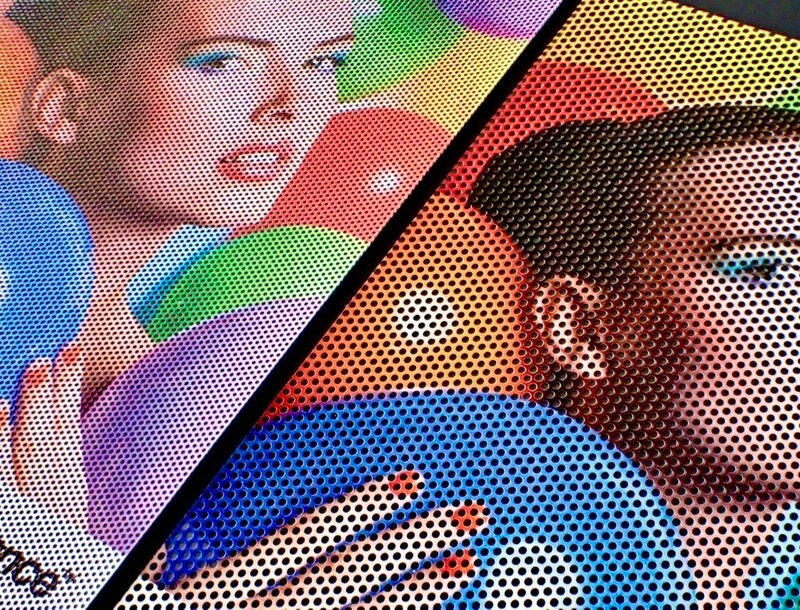 It is an exciting addition to the already unique and wide range of perforated window films in the Contra Vision portfolio. If you are visiting SGIA in New Orleans this year why not visit us on stand 1819 and see the difference for yourself.